Target Volunteers Visit Our Site! from Mentoring Peace Through Art on Vimeo. Red & Yellow Shirts: Work Together at the Wall from Mentoring Peace Through Art on Vimeo. Our volunteers are as diverse as our workforce. Our most treasured volunteers are the very young who are drawn to the excitement of painting, and we reserve space on all murals for them. 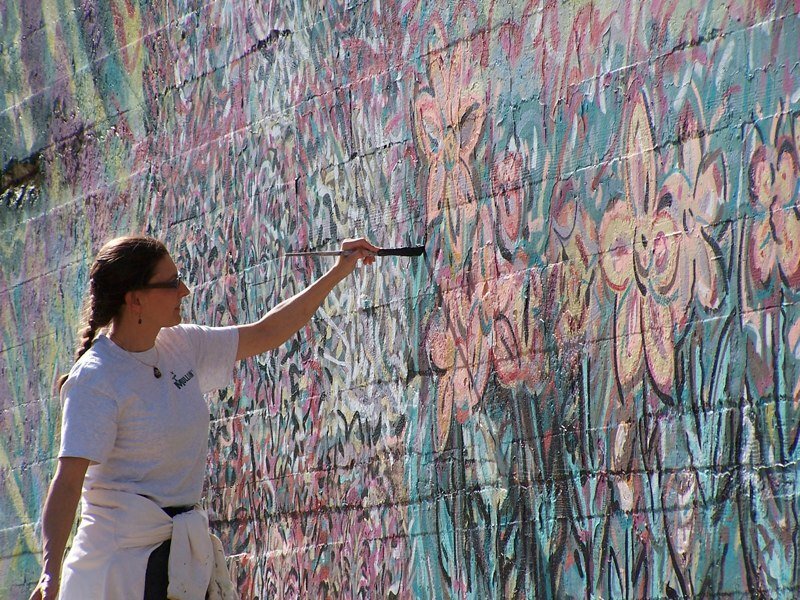 Our community volunteers are drafted in to MuralWorker teams to get a feel for what the workers are doing. Visiting corporate volunteers, such as the legion of Target corporate employees who have volunteered with us, are moved through the structure to get an understanding of the phenomenon of the MuralWorker experience. 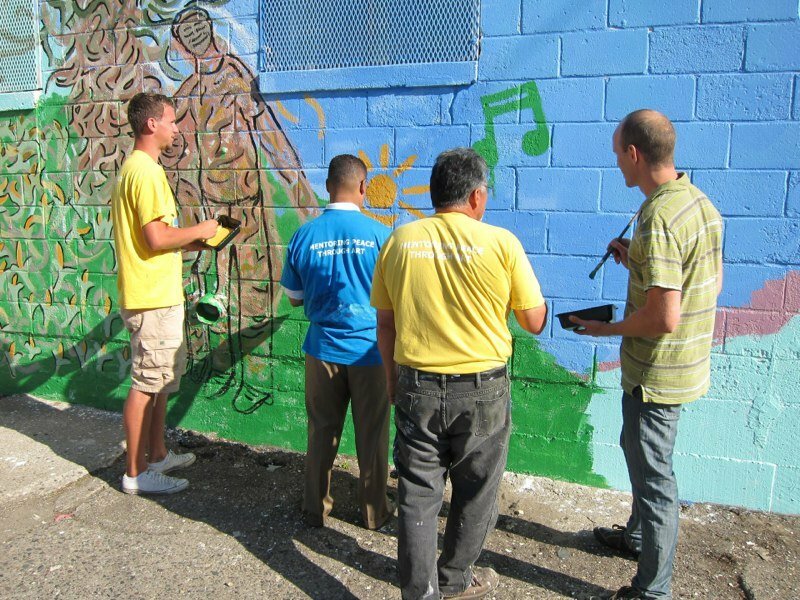 We create the MuralWorker experience in response to the environment, to the individuals, to the community. We do exactly the same thing for our volunteers. We are creative in all directions. Bloomington & Lake Murals from Mentoring Peace Through Art on Vimeo.